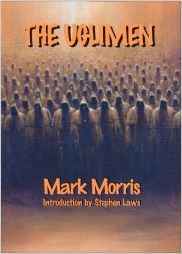 The uglimen are coming. Watch your back. They killed your dad. They'll kill you too if they can." Rob Loomis has everything he could wish for: a beautiful girlfriend, a job he loves, a nice flat in London. Life is sweet—until the day that his mother rings him at work to tell him that his quiet, thoughtful and apparently contented father has hung himself from the banister of their family home. Before long, Rob finds that it is not only his own and his mother's grief that he has to cope with. A mysterious, hissing voice on the phone informs him that his father was murdered, and that his murderers—the uglimen—are targeting Rob as their next victim. But if Rob's father really is dead, why does Rob glimpse him, standing between distant trees, watching his own funeral? Is his father a phantom? A figment of Rob's imagination? Or has he somehow faked his own death in order to avoid some terrible retribution? To discover the truth, Rob must confront and accept shocking revelations about his father, must delve deep into his father's past, and in particular into certain events that occurred in California in 1969, during the fabled summer of love. For it was here where his father made the biggest mistake of his life, where his reckless actions were to have such devastating consequences that they would destroy not only his life, but the lives of all those around him.